Hope you guys are having a great time on our platform. 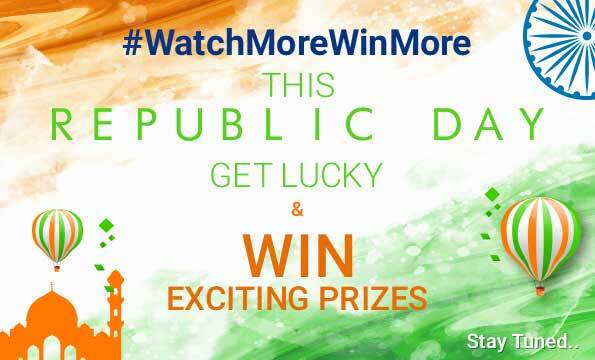 On the occasion of 68th Republic Day we bring you a chance to win prize worth Rs.5000 and all you need to do is beat the boredom! Watch out for videos in our Play section, who knows you might get lucky. And here comes the best part, there is something for everybody so just forget everything else, scroll down to infinity and lose yourself to a world of entertainment! Pro-Tip: Keep watching and keep watching more! Contest closes 26th January 2017, Midnight.